Fifteen years after it forcibly evicted at least 4000 white commercial farmers from their farms, Zimbabwean government has been forced to eat it vomits by begging the white farmers to return as the country plunges into famine. Crisis-hit Zimbabwe’s economy continues to deteriorate fifteen years after Robert Mugabe’s government seized large swaths of land from white farmers in the country, a move that triggered a rapid downturn in the country’s economy. The country’s Minister of Lands Douglas Mombeshora said provincial leaders had been tasked to come up with names of white farmers they wanted to remain on their farms. The farms should be “of strategic economic importance“. It was reported late last year that Mugabe’s administration was willing to compensate white farmers and to clarify its indigenisation laws. Mugabe launched the land reforms in 2000, taking over white-owned farms to resettle landless blacks. 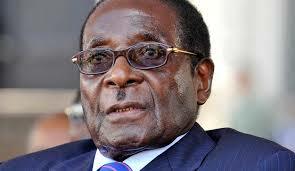 Mugabe said the reforms were meant to correct colonial land ownership imbalances.